This year’s Margaret River Short Story Competition anthology was edited by Ellen Van Neerven, author of her debut collection Heat and Light, and poetry collection Comfort Food. Ellen is quiet and contemplative in person but on the page, unique worlds come to life and flawed, believable characters face their fear. Ellen is one of he most exciting writers to come along in Australian literature in a fair while. We spoke briefly with her in the lead-up to the publication of Joiner Bay and other stories. Tell us a bit about your editing experience prior to editing this year’s Margaret River Press short story anthology. How did you go about the process of selection for this collection? Were you aware of current recurrent themes within some of the selected stories, or did you primarily guide yourself intuitively, and assemble the collection from there? I have a number of things I look for in a work, including language, handling of theme, characterisation and setting. Beginnings and endings are crucial. In the end in choosing my final selection, I wanted to create a suite of stories I myself would read and immerse myself in. Tell us a little about the winning story, ‘Joiner Bay’ by Laura_Elvery, and what made it stand out to you while judging the competition. ‘Joiner Bay’ is a beautifully balanced story about a high school student who enjoys running and is battling the death of their best friend. The small seaside town is well illustrated and the rhythms of running and water give the story a beat. Laura’s story, as well as Else Fitzgerald’s brillant spec fic story ‘Sheen’ bookend the collection. How important are collections such as the annual Margaret River Press anthology in nurturing up and coming short story writers? Which publications helped you in the lead-up to the publication of Heat and Light? Publications are important for emerging short story writers. It is a way-in to different communities and paves the way and encourages confidence for new opportunities. I was fortunate to get starts in publications like Mascara Literary Review, lipmag and McSweeneys when I began sending work off. I had poems in Mascara, an opinion piece in lipmag, and it was the short story in McSweeney’s that really gave me confidence and opportunities. 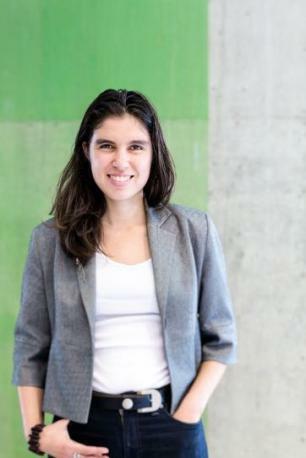 What’s next for Ellen Van Neerven? And what, while creating, is important to you in terms of greater goals and aspirations? For me, it is important that the work is the best it can be. Which means there are no set timeframes for the work I’m sculpting in at the moment, just the aspiration to create political, captivating and experimental work. Writing that pushes the boundaries. My concrete goals are more around contributing to the writing and Indigenous arts community and creating change by mentoring and working with other artists and providing platforms and structural change; as well as starting conversations about the things that matter to me, like the environment, mental health and Indigenous rights. Joiner Bay and other stories is available from Margaret River Press and from all good bookstores.